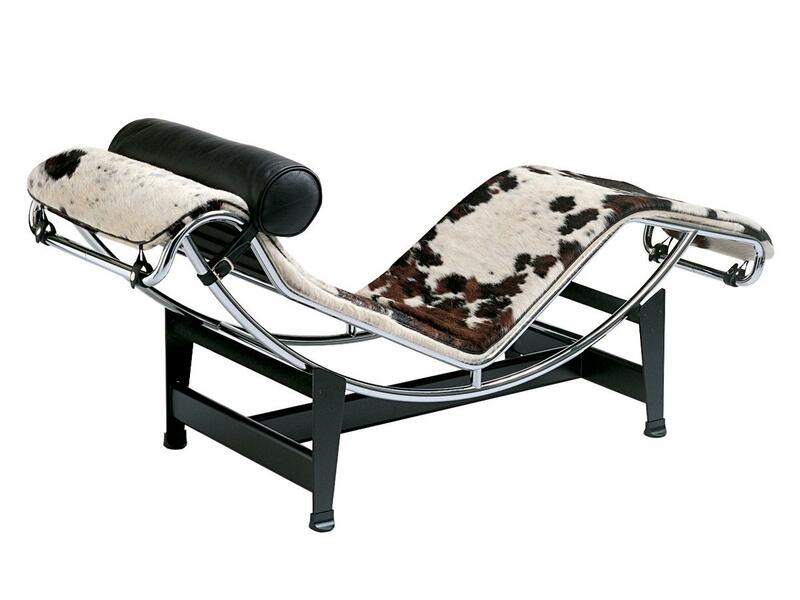 Developed in 1928 by the designers Le Corbusier, Charlotte Perriand and Pierre Jeanneret as part of an avant-garde collection for the Paris Salon d'Automne the chaise longue LC4 caused furore on its première and can be considered a milestone of modern furniture history. 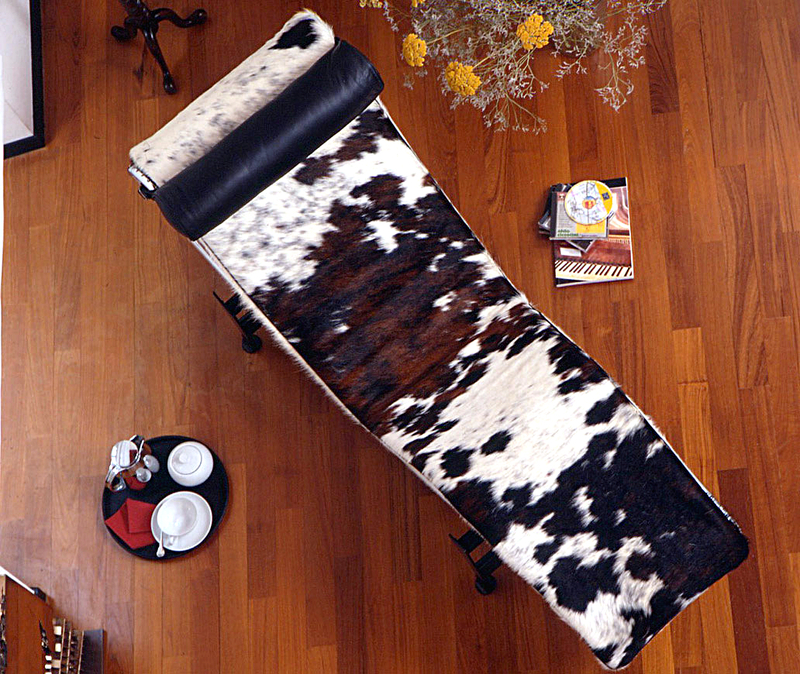 This exclusive chaise longue offers, thanks to its ergonomic swing and freely positionable body, unique comfort. The timeless classic is produced, as with all objects in the Le Corbusier LC furniture collection, by Cassina. Is the LC4 available with the frame in a chrome finish? The static floor-standing base of the LC4 is always painted black matt. The movable steel frame that rests on the frame is available in a chrome plated or black matt lacquered finish. Can I create a custom pattern, eg only black and white, for the patched hide covers? As hide is a natural product the pattern cannot be adapted to customer requirements. Requests can be passed on to the production, but cannot be guaranteed to be fulfilled, such is always dependent on which hides are delivered during the production period. Is the LC4 lounger also available in other colours? In the Villa Church Edition Cassina offers the LC4 with two-tone frame and a grey Gascogne hide cover. In collaboration with Louis Vuitton there is also a special limited edition as tribute to Charlotte Perriand, the CP LC4. Can I buy the lounger separately? 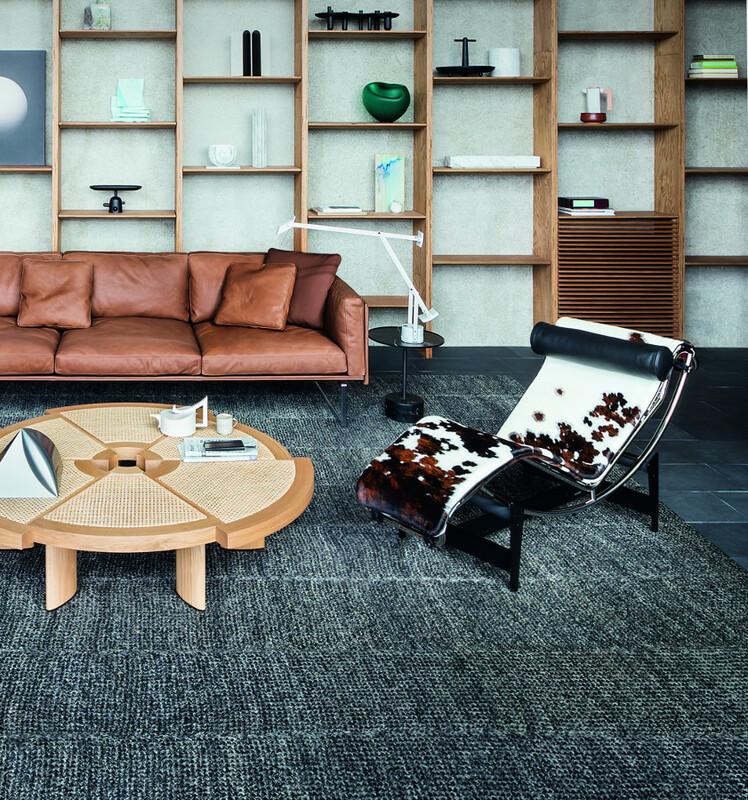 Cassina offers replacement loungers in leather or hide version for the LC4. Hide is a natural product, and as such the colours of the new hide cannot be influenced. Please indicate when ordering the production number of the existing lounger to ensure a correct fit with the frame. How do I recognise an original LC4 chaise longue? When the LC4 was first introduced some eighty years ago at the Paris Autumn Salon, reactions were divided. The machine-like construction with frame and base in steel contradicted all former beauty conventions, and met so much incomprehension and rejection. However amongst those designers and critics who recognized the revolutionary potential of the chaise lounge, Le Corbusier's lounger was met with widespread enthusiasm. 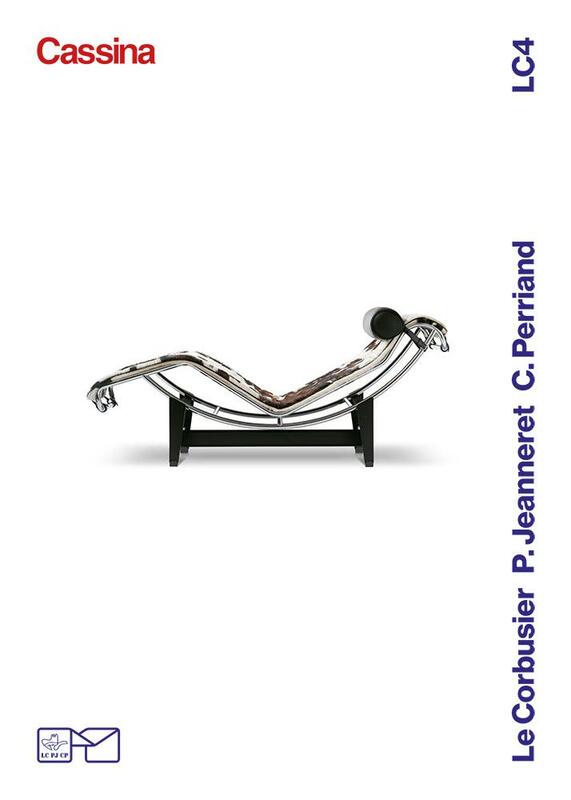 The chaise lounge was part of a collection of avant-garde furniture developed for the Paris Autumn Salon by the designers Le Corbusier, Pierre Jeanneret and Charlotte Perriand and which today occupies a significant event in the history of design of early modernism, for all the LC4 chaise longue. Since the 1960s the Italian manufacturer Cassina has produced the LC4 along with the other furniture of the LC-series , and is the licensed producer of the original Le Corbusier recliner. 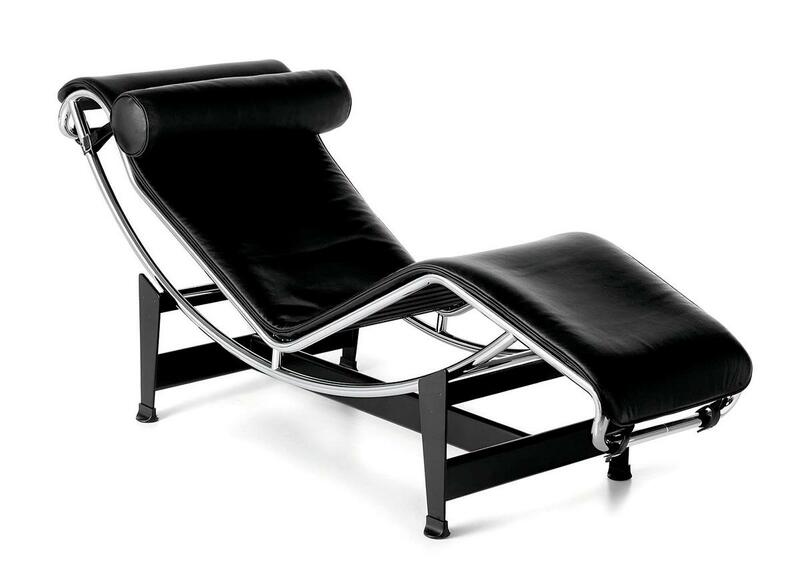 Because Le Corbusier's controversial views not only fundamentally influenced the development of modernity, but can also be found in the design of the LC4, the architect is today often referred to as sole author of the chaise lounge. 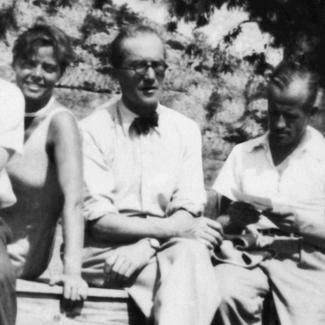 Le Corbusier was born Charles Edouard Jeanneret-Gris in 1887 in the Swiss village of La Chaux-de-Fonds, and found his way to design via first painting and subsequently architecture. After studying architecture, a longer stay in Paris and study tours throughout Europe, in 1922 Le Corbusier published the text "A contemporary city for three million inhabitants," in which he first expounded his radical, purist position. In 1928 Le Corbusier incorporated these views in the LC4 chaise lounge and the other furniture designs he developed together with Charlotte Perriand and Pierre Jeanneret for the Paris Autumn Salon. After the Second World War Le Corbusier returned to work in his Paris office, deepened his theories of urban planning and realized buildings in Europe, the USA and India. Among the most prominent examples are the chapel in Ronchamp and the much-criticized "Unité d'Habitation", which was realized in France and Berlin. 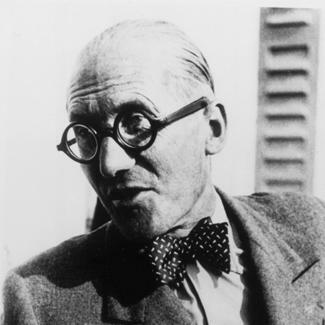 Le Corbusier died in 1965 in Roquebrune-Cap-Martin in Monaco. Le Corbusier's visionary ideas significantly influenced early 20th century architecture and culture. The Le Corbusier LC4 is produced by Milan based furniture manufacturer Cassina. 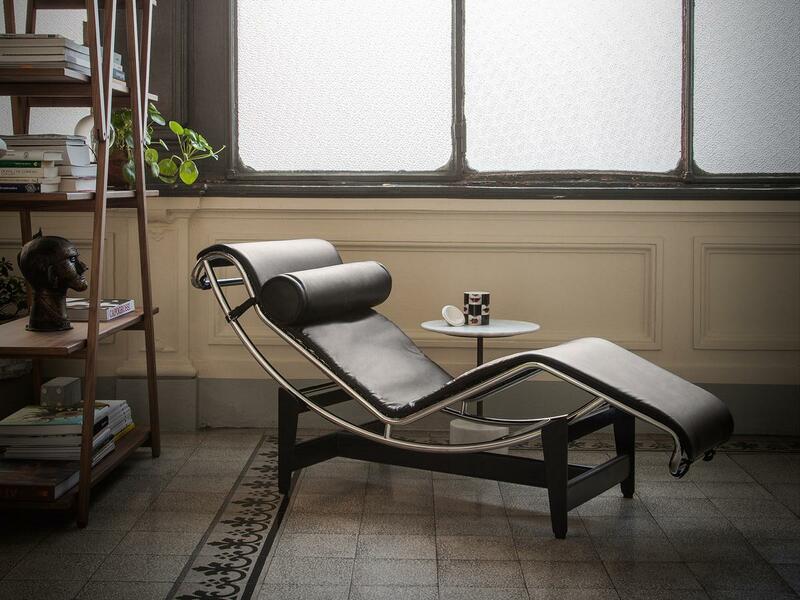 Also known under the name "Rest Machine" the Le Corbusier LC4 comprises a matt black lacquered steel base, a chrome plated, fully adjustable frame and a lounger available either with black leather or hide covers. The neck roll the chaise lounge LC4 is made in black leather. As one of Milan's oldest contemporary furniture makers Cassina have specialised in the processing of high quality materials such as leather and wood in production processes which combine traditional craftsmanship with technological innovation. For example, all leather for the Cassina LC4 is checked by hand ahead of its processing to ensure immaculate quality. Following this quality control the hides are scanned, and from these scans a computer calculates the optimal cutting pattern so that the defects are not included in the production leather. Furthermore, throughout the production process each LC4 chaise lounge carries a bar code so that it can be checked and controlled at every stage. Thus Cassina ensures that every single piece maintains the consistent quality customers rightly demand of the LC4 chaise lounge. In Le Corbusier one is confronted by a designer and architect who regularly and freely crossed the borders of conceived perceptions and so not only helped open up completely new perspectives but also helped define modernism. 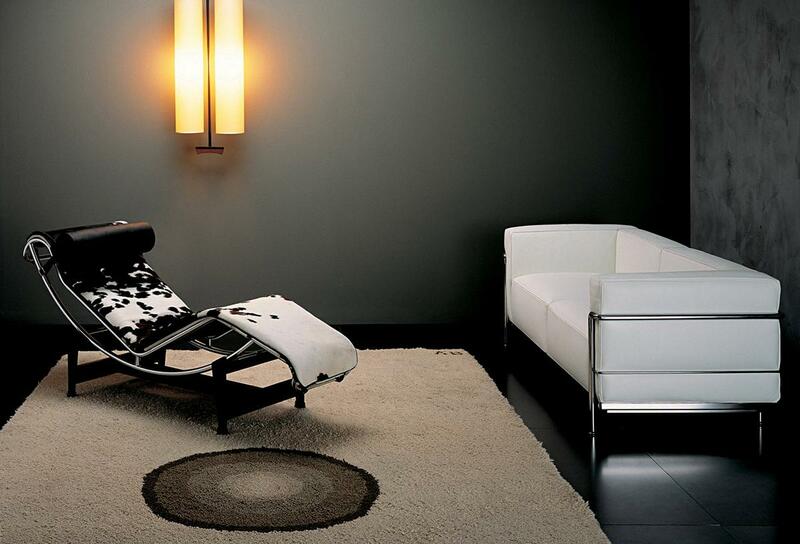 The LC4 chaise longue represents this radical change to modernity perhaps better than any other piece of its time. The entire Le Corbusier furniture collection is produced today by Cassina collection today under umbrella term "LC" and ranges from the LC1 armchair to the LC16 coat rack, and was conceived as a conscious alternative to the Art Deco, the style which at the period dominated interior design. Clarity, logic and functional reduction were the new priorities in keeping with the Le Corbusier's declared vision of purism, and as such the design of the Le Corbusier LC4 chaise longue avoids superfluous flourishes and decoration. With its combination of geometric tubular steel frame, the ergonomically designed recliner and the organic leather coverings, Le Corbusier's LC4 defines the historic tensions between man and machine - and so also attacks the utopian idea of a merger of the two. 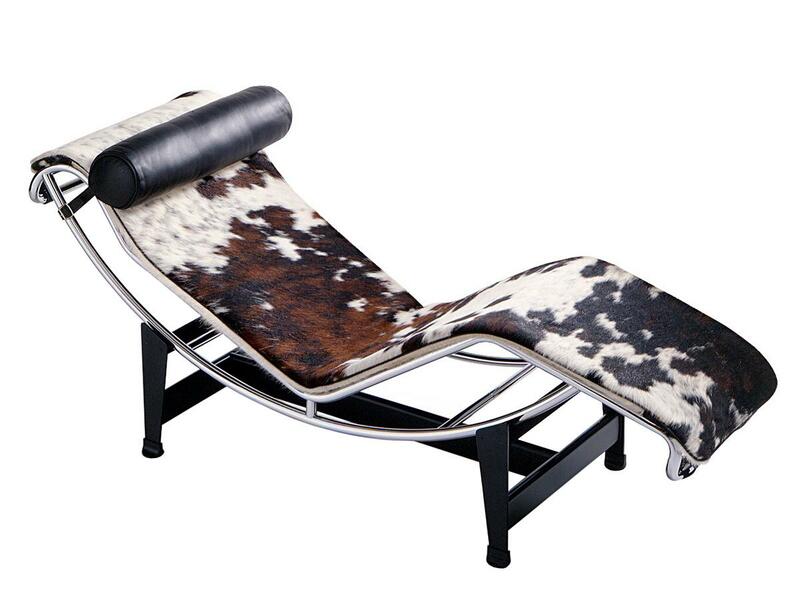 The Le Corbusier LC4 chaise longue is produced by Cassina. Founded in 1927 by the brothers Cesare and Umberto Cassina in Milan, by the 1950s Cassina had grown to become of the largest and most prestigious furniture producers in a city awash with large and prestigious furniture producers. Until the mid-1960s Cassina made a name for itself in context of large-scale commissions for a range of cruise ships, such as the famous Andrea Doria; a branch of the business which Cassina has expanded to become one of the leading and most reputable furnishers of high-class hotels and boutiques. 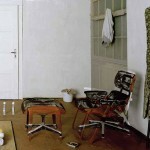 In terms of furniture design Cassina developed during the 50's to become leading innovator. With its own research department the company was one of the first to encourage designers to develop their own visionary designs. 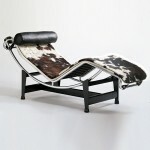 In 1964 Cassina acquired the licenses of the first models of Le Corbusier LC4 chaise longue. And since then has been the only licensed producer. In addition to classics like the Le Corbusier recliner and the LC2 armchair Cassina continues to place a focus on challenging contemporary design; the company working with the most important Italian and international designers, including, Mario Bellini, Rodolfo Dordoni, Piero Lissoni, Konstantin Grcic and Phillipe Starck.